Oscar Robertson Trophy Midseason Watch List. Members of the association’s board of directors chose the players to be included on the list as contenders for the Oscar Robertson Trophy. The award is to be presented to the national player of the year by its namesake at the Devon Energy College Basketball Awards on April 14 at the National Cowboy and Western Heritage Museum in Oklahoma City. The Henry Iba Coach of the Year Award and the Integris Wayman Tisdale Freshman of the Year Award will also be presented at the gala to be held annually the Monday following the NCAA Men’s Final Four. 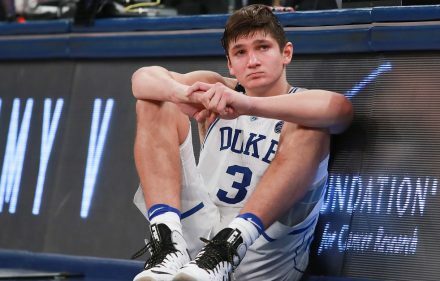 Creighton’s Doug McDermott, a first-team USBWA All-American last season, headlines the list, while teammates from six different schools – Arizona, Duke, Kansas, Michigan State, Syracuse and Wichita State – are also lauded. 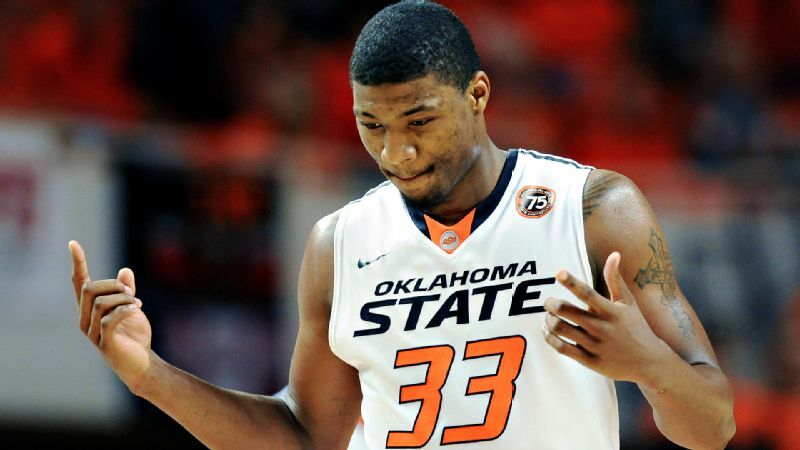 Oklahoma State’s Marcus Smart, the 2013 Wayman Tisdale National Freshman of the Year and a second-team USBWA All-American a season ago, is also featured. Overall, 10 conferences are represented, led by the Atlantic Coast Conference with five players and the Big 12 Conference with four. A pair of Oscar Robertson National Players of the Week from this season are included: DeAndre Kane from Iowa State and McDermott. The watch list includes 12 seniors to go with one junior, four sophomores and six freshmen. G 11 Keith Appling, Michigan State 6-1 185 Sr. Detroit, Mich.
F 11 Cleanthony Early, Wichita State 6-8 219 Sr. Middletown, N.Y.
F 5 C.J. Fair, Syracuse 6-8 215 Sr. Baltimore, Md. G 14 Gary Harris, Michigan State 6-4 210 So. Fishers, Ind. F 5 Rodney Hood, Duke 6-8 215 So. Meridian, Miss. G 13 Nick Johnson, Arizona 6-3 200 Jr. Gilbert, Ariz.
G 50 DeAndre Kane, Iowa State 6-4 200 Sr. Pittsburgh, Pa.
G 13 Shabazz Napier, Connecticut 6-1 180 Sr. Roxbury, Mass. G/F 21 Lamar Patterson, Pittsburgh 6-5 225 Sr. Lancaster, Pa.
F 24 Casey Prather, Florida 6-6 212 Sr. Jackson, Tenn.
G 2 Russ Smith, Louisville 6-0 165 Sr. Brooklyn, N.Y.
G 2 Xavier Thames, San Diego State 6-3 195 Sr. Sacramento, Calif.
G 23 Fred Van Vleet, Wichita State 5-11 194 So. Rockford, Ill.
G 3 Chaz Williams, Massachusetts 5-9 175 Sr. Brooklyn, N.Y.
By conference: ACC (5); Big 12 (4); American Athletic (2); Big Ten (2); Missouri Valley (2); Mountain West (2); Pac-12 (2); SEC (2); Atlantic 10 (1); Big East (1). While these standout players are the leading contenders to be named to the USBWA’s All-America Team and as finalists for the Oscar Robertson Trophy, all Division I players remain eligible for postseason honors from the USBWA. The association will announce its 2014 All-America Team in mid-March. At that time, finalists will also be chosen for the player of the year. Once finalists are announced, the entire USBWA membership will vote for the winner of the Oscar Robertson Trophy. 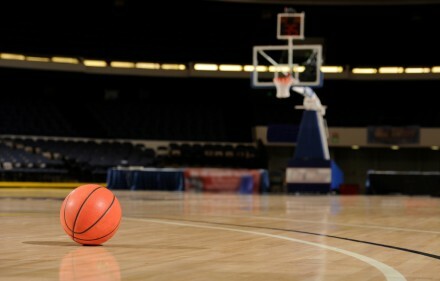 Tickets and sponsorship information for the Devon Energy College Basketball Awards are available atcollegebasketballawards.com or by contacting Scott Hill (405-749-1515, scott.hill@access-sports.net). The April 14 banquet will also honor Kansas coach Bill Self as the recipient of the Wayman Tisdale Humanitarian Award.